An extraordinary cache of ancient, well-preserved Cannabis plant remains was recently discovered in a tomb in the Jiayi cemetery of Turpan, NW China. Radiometric dating of this tomb and the archeobotanical remains it contained indicate that they are approximately 2800–2400 years old. Both morphological and anatomical features support the identification of the plant remains as Cannabis. 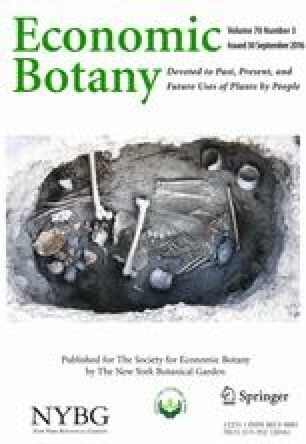 Research discussed in this paper describes 13 nearly whole plants of Cannabis that appear to have been locally produced and purposefully arranged and used as a burial shroud which was placed upon a male corpse. This unique discovery provides new insight into the ritualistic use of Cannabis in prehistoric Central Eurasia. Furthermore, the fragmented infructescences of Cannabis discovered in other tombs of the Jiayi cemetery, together with similar Cannabis remains recovered from coeval tombs in the ancient Turpan cemetery along with those found in the Altai Mountains region, reveal that Cannabis was used by the local Central Eurasian people for ritual and/or medicinal purposes in the first millennium before the Christian era. We thank Prof. Enguo Lü for his help during the field work. This work was supported by the Natural Science Foundation of China (No. 41672171), as well as the “Special support fund for young scientists of scientific history studies (Y529027EA2)” program of the Chinese Academy of Sciences. HJ, MM, and LW proposed the current study and engaged in field work. HJ, MM, and RC wrote the article drafts. LW, YZ, GX, and XD performed the majority of the background research. YP performed the chronological research.